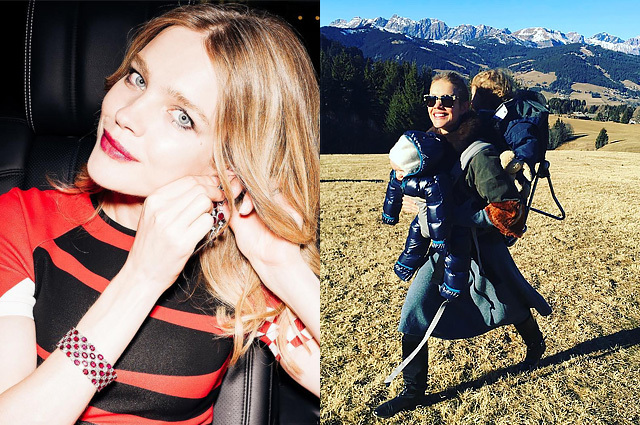 Happy mother Natalia Vodianova is ready to share her optimism with others. Supermodel congratulated friends and followers on her Instagram. 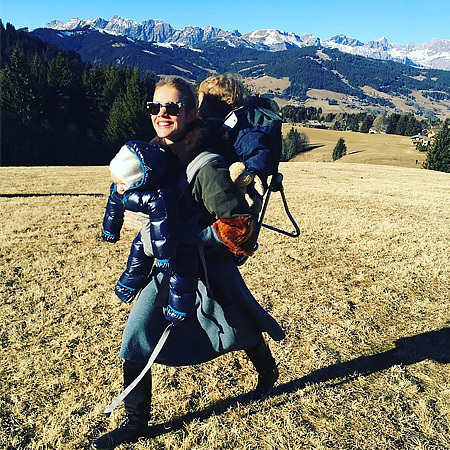 In the cheerful picture, shared to Instagram she is seen walking in the mountains and carrying two kids on her, one - on the chest, and the other - on the back, and smiling..
"Let the New Year will be easy to you all! - She wrote. Recall Natalia raising five children: 15-year-old Lucas, 10-year-old Neva, 9-year-old Victor, 2-year-old Maxim and 6-month-old Roman.